We all know when printing first started, but when was the first book compiled will always be a bit of a mystery with different civilizations staking their claim. 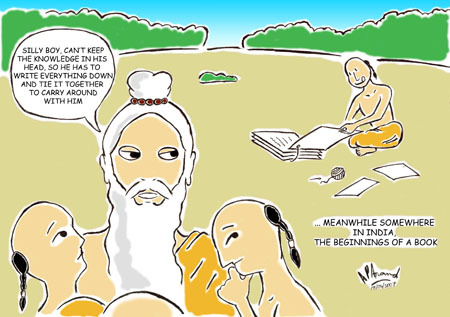 In India the tradition of passing detailed philosophical and spiritual knowledge from Guru to Shishya (student) was largely done through oral tradition. No doubt, the knowledge in question may have suffered distortion and amplification through such a medium, before the first written manuscripts were compiled and made into standard reference. Following is a fun take on the 'introduction of a book' to European monks. It analogous to what it's like to introduce someone to new computer programs. 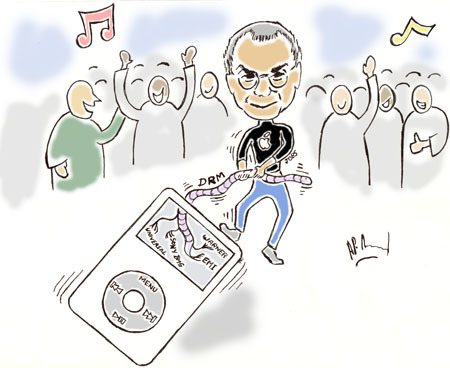 Steve Jobs, CEO of Apple, may have one of the most used DRM (Digital Rights Management) methods in the music industry, but he insists that he is against it. DRM is a little bit of software that is part of the music track, which determines whether the music track will play - on which player device, on which date, how many times etc. Due to these restrictions, frustrated users also call this (perhaps more accurately) Digital Restrictions Management. Apple has been getting the flak for supporting this concept, by selling DRM-music on its iTunes online store. Various consumer groups in many European nations have started court proceedings to have DRM removed or else stop iTunes from operating there. Steve Jobs hates to be the bad guy, after all he's supposed to be customer friendly and cool. So he's written an essay, Thoughts on music, clarifying his stand, basically stating that it's not Apple's fault and it's the record companies that deserve the blame (some of which are, incidentally, European). It's a case of the middleman griping at being the middleman. Between the music artists and their listening consumers lie a number of middlemen including agents, marketing firms, accountants, music video producers, record companies, distributors, retailers etc., each taking their cut of the profits. 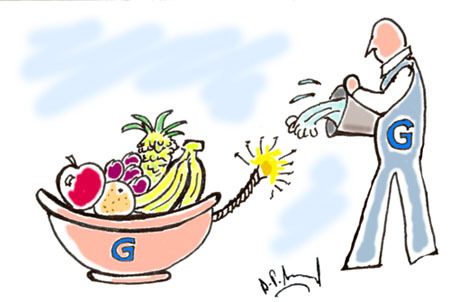 Now, Information Technology, by its nature always eliminates middlemen and middle-processes. So it should be no surprise that they are creating obstacles in the distribution of music such as DRM. There have been many reactions to Steve's essay. John C Dvorak makes an important point that music is also a social medium. When people come together and share it, it's significance grows. By creating obstacles in the way of sharing, the music companies are running down their own sales. I wonder how a Mozart or Madonna would have fared in a skewed market like this. Why use the library at all, with everything available for free on the internet and easily searchable? Wrong. Despite the formidable illusion, everything is not available on the internet. Consider the latest published journals and books, they are still under copyright and not available. Consider all the great works that haven't been converted to online media or e-books yet. Check whether the information you are getting from the net is reliable. Libraries enjoy the advantage of having authoritative information that you can quote on, and it's available for a very low membership cost, if not free. Yet all is not well in library world, librarians are wondering if they have a role in the future of information and knowledge services. 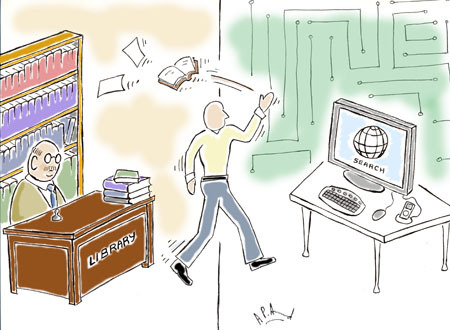 An excellent article available here gives 33 reasons why librarians are still important. So, next time you visit a library, don't feel shy to consult a librarian about anything you need. Don't compare them to shop assistants trying to sell you something, they are just experts at finding the information you need.